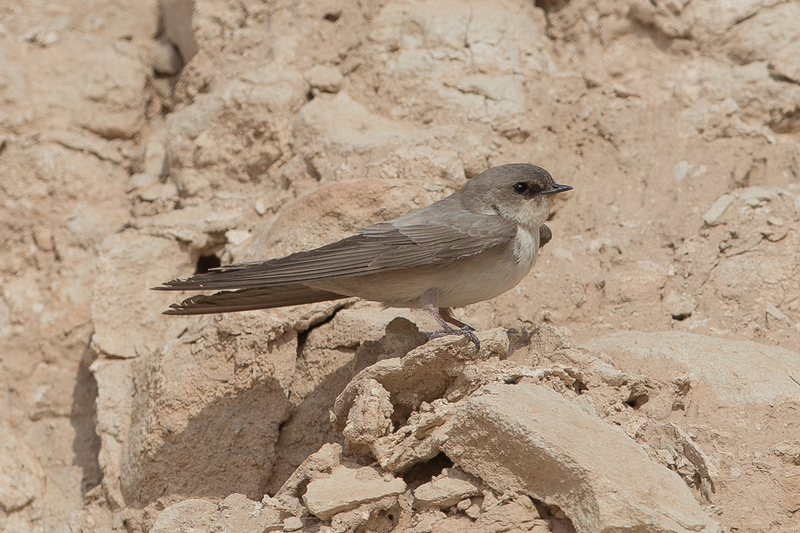 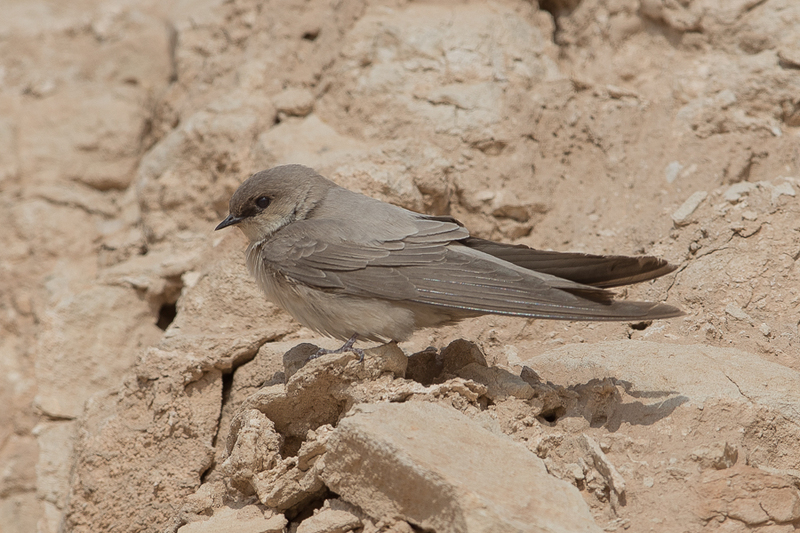 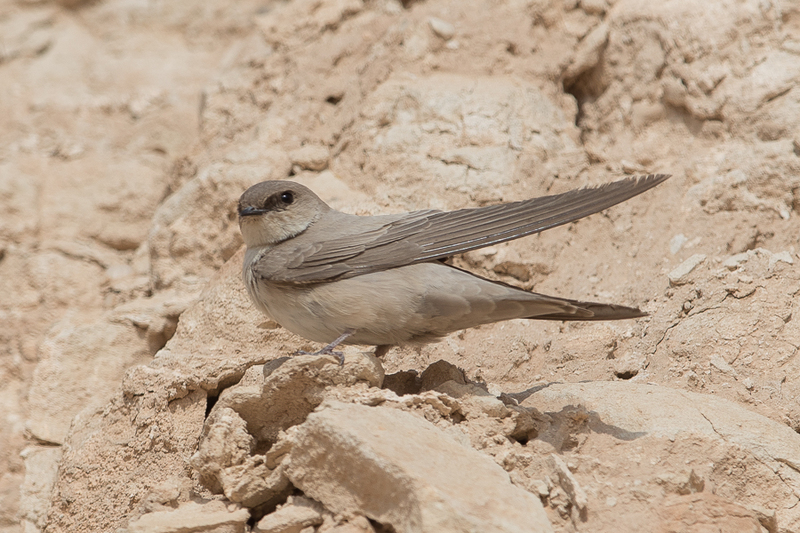 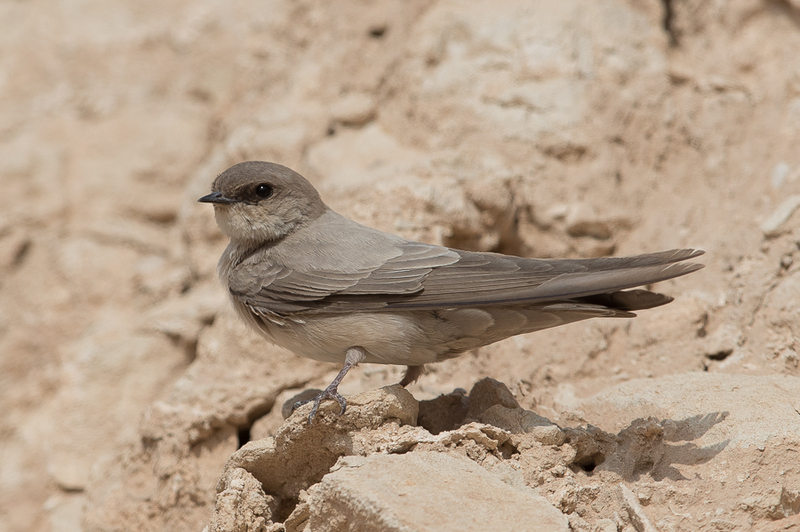 Whilst birding the Judah area (two hours drive towards Riyadh from Dhahran) known as Jebal Hamrah recently Phil Roberts and I found a few Pale Crag Martins and managed to locate a small cliff where three birds were continually flying around and landing. 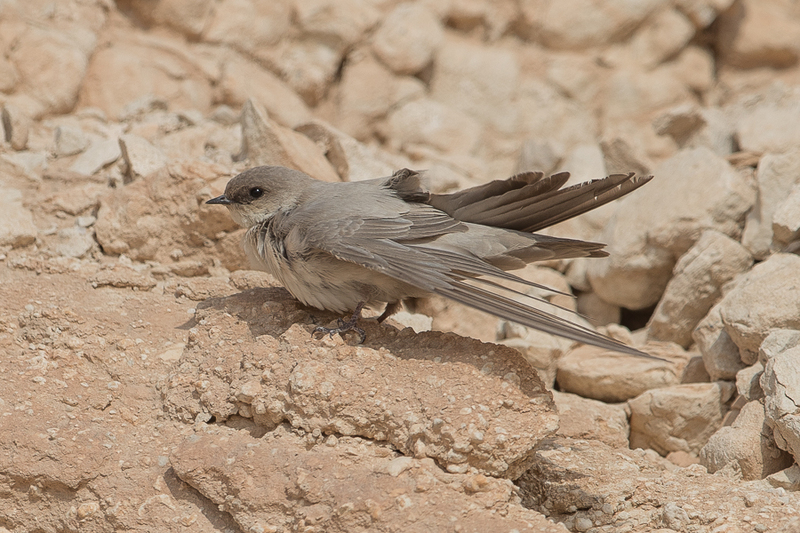 A fter some time we managed to get in a position to take a few photographs of them, easily the best ones I have manged to take at rest in the Kingdom. 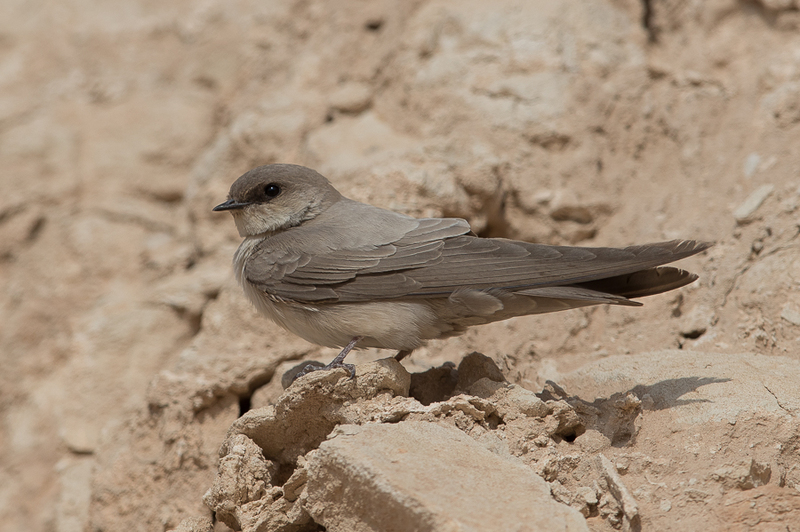 Pale Crag Martin is a common breeding resident in all areas wherever there are rock outcrops or cliffs, and have in the past formed flocks in winter of over 300 but there have been no records like this that I am aware of for many years.